Steve’s sailing experience goes back to when he was a wee lad (childhood) as a cadet in Royal Australian Naval Reserve Cadets, competing and even winning junior class sailing regattas. His professional career led him to the waterfront where he could combine his work with his passion. Being a surfer, wakeboarder, scuba diver and general water man leads to becoming involved in the water-sports business in tourism and studying for maritime commercial licenses. Moving on to a more serious professional life of responsibilities he takes on a position as Brisbane city ferry boat captain. After a few years of this routine lifestyle his adventurous spirit leads him to new opportunities, leaving Australia he ends up in Greece, sailing the Greek islands as a charter yacht skipper. It is in Greece that he discovers kiteboarding and very quickly he becomes one of the first kitesurfers on Kos island. 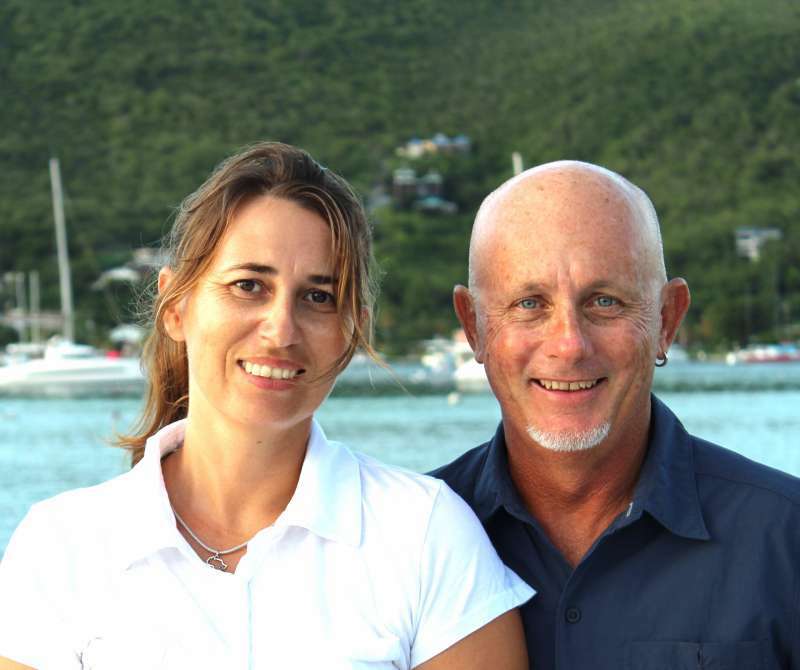 After Greece, Steve and Monika took the challenge of a Transatlantic on board Groovy. Having sailed through the Grenadines for many seasons prior, they have the opportunity to share their local knowledge of the area to take you to the best secluded beaches, snorkeling and diving locations, and private anchorages. While Steve has the qualifications and experience to keep his boat to the highest of standards, his style of skippering is informal and he has the flexibility to change itineraries as and when is required. He prefers being on the sea to on land, enjoys meeting new people and of course exploring new locations along the way. Monika's dream and a passion for travelling to exotic locations lead to her choice of studies, tourist industries, enabling her to enter into a professional career in tourism to see the world. After graduation, she left Poland to work and live in various countires. Her path begins in Tunisia leading to France and Cape Verde. It's on Sal Island in 2008 that she discovers kiting and later, sailing. She has travelled a lot of the world including Africa and Asia working as a tour leader for 10 years. She was also previously a nanny and incredibly good at entertaining children. For 6 years before she and Steve started chartering and sailing together, she worked aboard large luxury yachts as a chef and gained experience as a deckhand and hostess. Monika is a fantastic host and her food and meals are always fresh and well presented with no worries about catering for special diets, gluten-free or any other food restrictions. Working together as The Dream Team, Steve and Monika draw on their experience of year's of freelance work on different boats to set-up and maintain Groovy so that guests can all have an easy and pleasant trip. Combined with Monika's delectable food and Steve's amazing sense of humour, sailing expertise, any guest is bound to have an amazing vacation. 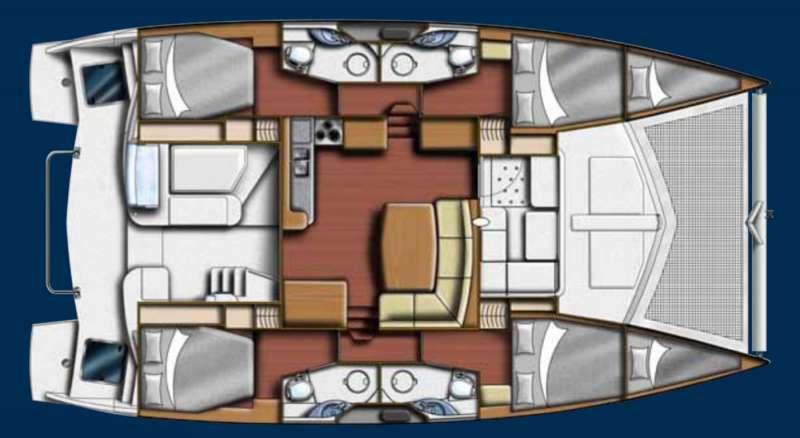 Other Toys: Kitesurfing Equipment on board - this boat would also be ideal for kite- surfers with experience also who would like to learn more from the captain. Other Entertain: Projector on board for watching movies, Drone for filming guests during water sport activities.